After a year-long hangover in 2008, the real estate industry is hoping for some strong, black coffee in the new year. All sectors—commercial, residential and retail—were hammered last year. And though the outlook for this year is still shaky, there is some optimism that the market will at least stabilize this year. Much will depend, of course, on how quickly the economy—and jobs—start to recover. "The health of the commercial real estate sector is a direct reflection of the health of the broader economy, “says Bruce Mosler, President and Chief Executive Officer, Cushman & Wakefield. "The biggest factors affecting commercial real estate demand from an occupancy perspective are employment, personal consumption and economic growth—all of which have an impact on office, industrial and retail property." For now, Mosler expects job losses to continue through the second quarter of the year. As a result, companies will be reducing office rental costs by consolidating locations, renewing leases at more favorable terms or relocating to better space at more competitive rents. "This will increase supply on the market, most of which will be sublease space that companies no longer need in the near term,” he explains. “Sublease space will put downward pressure on rents through (this) year and into 2010. But we also expect financial services firms, which are a major driver of office occupancy, to begin to stabilize in 2009 and start to grow again." He is also looking to the US government for help. "The most important influence on the investment market in the immediate future will be the restoration of liquidity and confidence," Mosler says. "By some estimates, there are about $400 billion in commercial real estate loans maturing in 2009, and the ability to refinance or extend them will be crucial to the market going forward. "The credit crisis has nearly frozen lending," he adds. 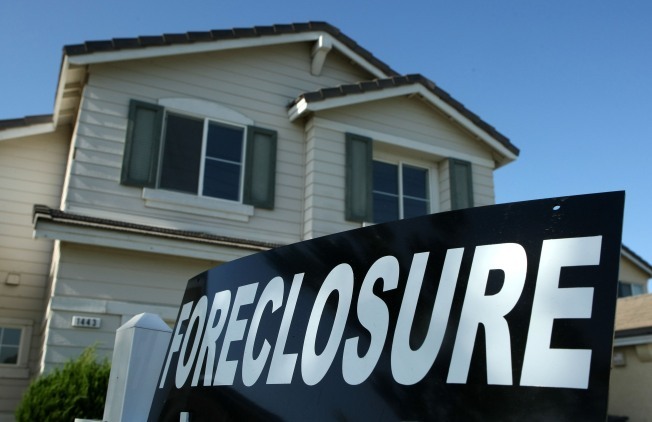 "The inability to refinance or sell assets could lead to default, foreclosure and value destruction in short order. At a general level we see the economy returning to growth in the latter half of '09, driven largely by the Fed and Treasury policies to ensure the availability of credit." The news on the residential front was brutal this past year. Home values in 20 large metropolitan areas across the country dropped at a record pace in October. The price of single-family homes fell 18 percent in October from a year earlier, according to the Standard & Poor's/Case Shiller Housing Index. After increasing steadily through the first part of the decade, home prices have fallen every month since January 2007. Prices are falling at their fastest pace on record. However, 2009 should see an improvement, says Adrienne Albert, CEO of The Marketing Directors. Albert also advises that a buyer either must have cash or have excellent credit to finance the purchase. "It is a perfect moment to buy," she says. "Great product built for a much more buoyant market, favorable pricing in many cases below replacement cost and the lowest interest rates in at least 25 years." Retail property, meanwhile, is still in a downward spiral. The International Council of Shopping Centers estimated 5,770 store closings in 2008 compared to 4,603 in 2007. "According to Standard & Poor's, the U.S. economy probably won't begin to turn around until sometime after the second quarter," says Faith Hope Consolo, chairman of the retail, leasing and sales division at Prudential Douglas Elliman Real Estate. "This will certainly help value-oriented chains such as Wal-Mart (NYSE: wmt) and TJ Maxx (NYSE: tjx). However, the super-wealthy are still shopping, even if they are literally hiding their luxury purchases in plain paper bags." Consuelo says mid-January is when some struggling mid-market apparel chains may file for Chapter 11. "In a way, though, this is a boon for landlords," she says. "They will be able to replace these slow-sellers with newer concepts that will serve the customer better. We in fact might end up with more diverse retail streets that don't resemble the local mall. It won't be easy, and there will be pain. The retail real estate scene is going through a troubling time to emerge stronger."